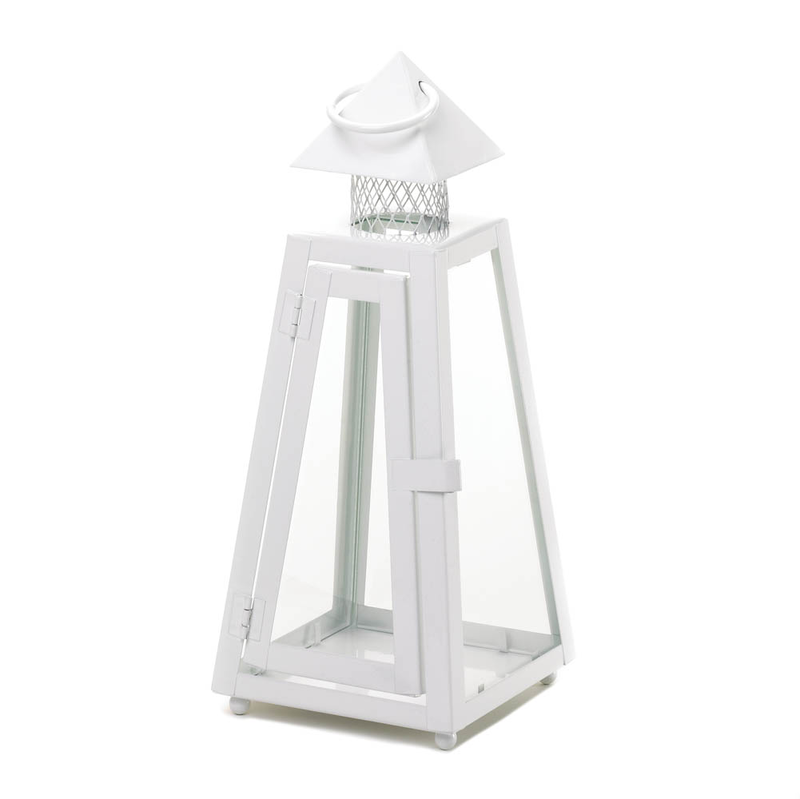 This stunning iron candle lantern shows off the architectural detailing, and the clear glass panels will let the light from your favorite candle shine bright. 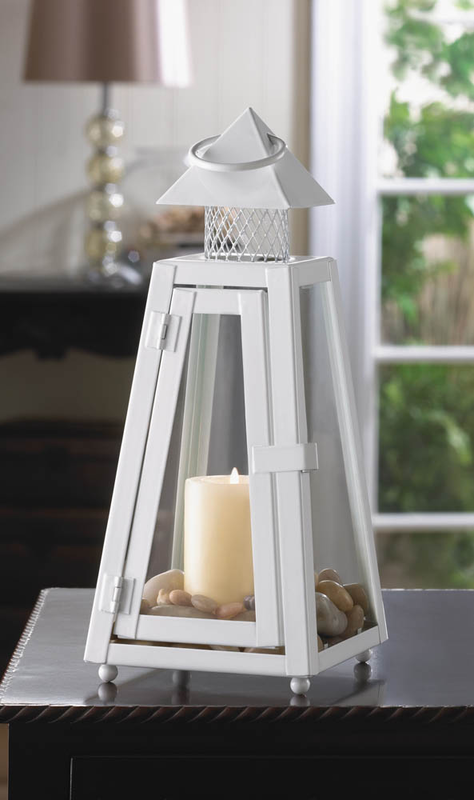 This candle lantern is alluring set on a tabletop or hanging from its top loop. The white finish lends itself to being equally at home in a modern setting as it is in a charming cottage or bungalow. Item weight: 1.6 lbs. 5" x 5" x 11 1/2" high; 12 5/8" high with handle. Iron and glass. Candle not included. UPC: 849179017606.